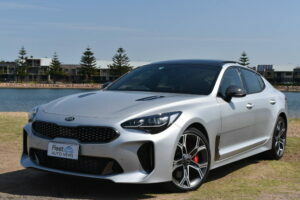 Stinger is a game changing vehicle for KIA. A performance sedan, so well-conceived and executed that it’s changing the perception of the entire brand. Stinger’s whirlwind performance, in a large RWD sports sedan comes like a perfect storm to fill a void in the market left by the now defunct Aussie made V8’s. 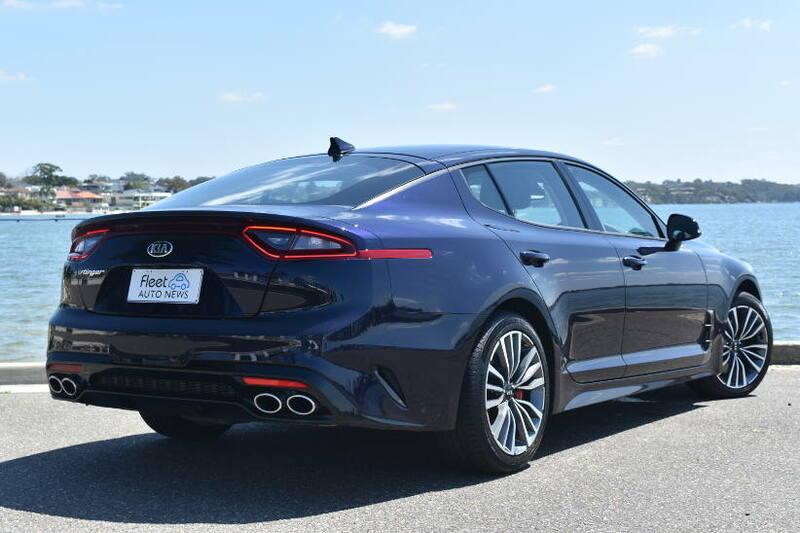 It’s a true modern day Gran Turismo, bringing all the latest tech and safety features, wrapped in a stylish and sleek body offering not only an attractive looking car and inspired drive experience, but also a vehicle that is comfortable and easy to live with every day. I drove the GT and 330S which share the same engine and transmission. Stinger’s power delivery, acceleration and overall performance is explosive! It goes hard, very hard! The eight speed transmission with five selectable drive modes, is very smooth and comfortable, but can be a little hesitant to downshift at times. To arrest all that power, both 330S and GT have Brembo ventilated disc brakes. 350mm four-pot callipers up front and 340mm twin-pot callipers in back. 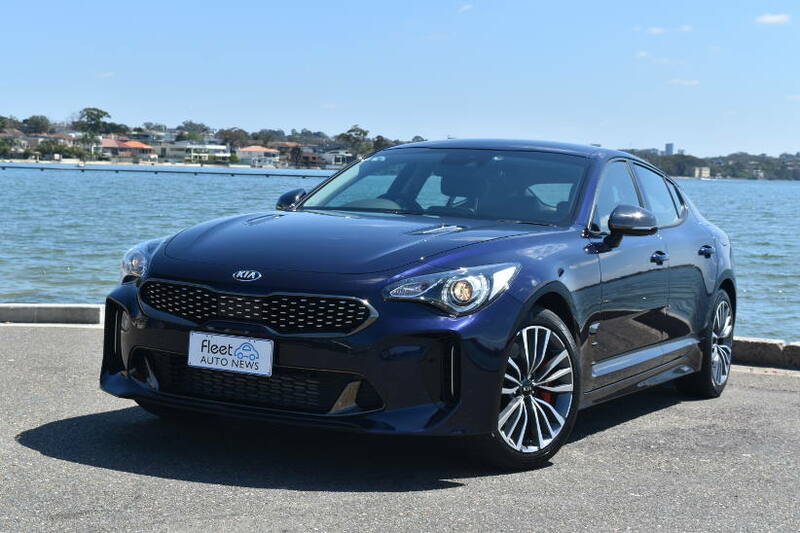 Stinger is quite agile with fast and responsive steering, beautifully balanced chassis and magnificently ‘locally tuned’ suspension to handle Australian roads and is incredibly satisfying to drive. Tip it into a corner at speed and the turn in, grip and balance through the corner is remarkable. On your favourite twisty road, Stinger will have you grinning ear to ear. 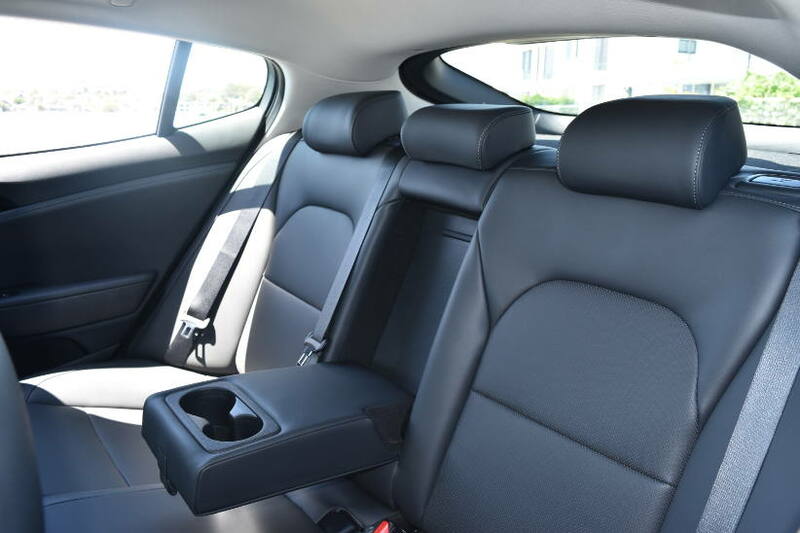 Convenience features also include plenty of cup/bottles holder front and rear (with differing size cup holders in the front to make sure you don’t spill your coffee). Apple Car Play/Android Auto and Bluetooth connectivity is provided, as are 12V and USB connections front and rear. 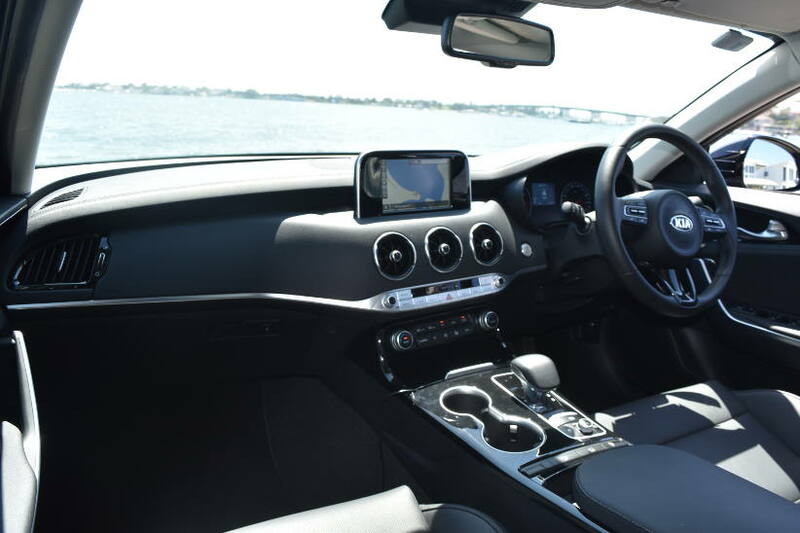 Seating is comfortable, with leather seats all round on both models (memory settings, power adjustable, heated and ventilated on the GT). Rear seat passenger have plenty of leg room, but head room is a little compromised by the low sleek roofline. The lift-back design allows a generous luggage space(406 lt rear seats up and 1114 lt rear seats down). The whole look of the interior speaks to quality (the air vents are reminiscent of European marques). 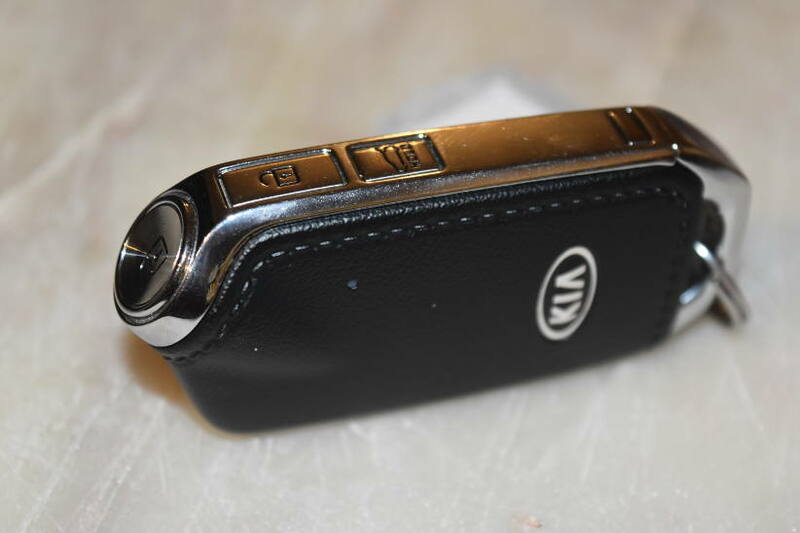 Even the key adds to the quality feel of Stinger, with a unique design, that feels comfortable in your hand. Look out! This is the Stinger you don’t want following you. 330S is the model that QLD and WA Police have selected to add (50 vehicles each)to their Highway Patrol fleets. And it’s no wonder, with a 0-100km/h time of 4.9 seconds. 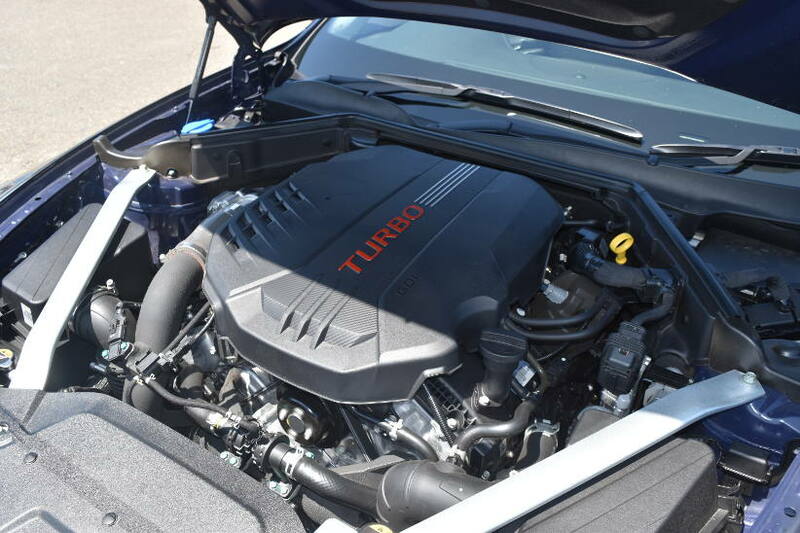 330S might be the ‘entry level’ model of the V6 twin-turbo range, but it’s ‘no poverty pack’ by any means. 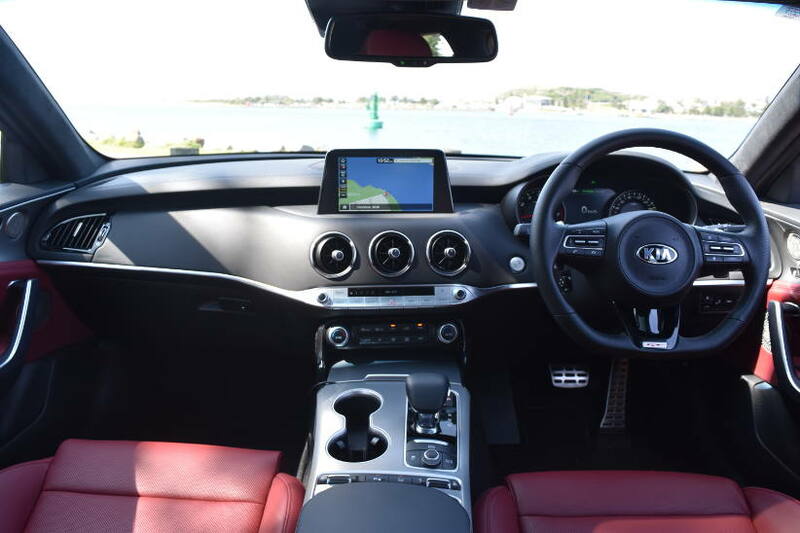 Leather seats, dual zone climate control air-conditioning, six speaker stereo, DAB radio and seven inch touchscreen and Sat Nav with traffic information. Safety features include, Autonomous Emergency Braking and Forward Collision Warning, Smart Cruise Control, Lane Keep Assist, Driver Attention Alert and Active Hood Lift System for pedestrian protection. Riding on 225/45R18 Continental tyres, 330S is a comfortable ride with performance plus, a car that you can be happy in every day. The flagship. 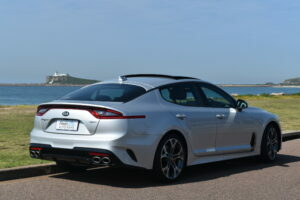 Mechanically the same as other Stinger variants, GT brings more than just the higher price tag to the equation. GT is the ‘looker’ of the line up with distinctive LED headlights and DRL’s, aggressive grille and accents, ‘fake’ bonnet vents and unique 19” wheels. In this ‘selfie’ crazed world, I was amazed to observe not one, but two different groups of people (within 15 minutes of each other) stop to take ‘selfies’ with the Stinger GT parked in the street, outside the café I was in. Obviously it’s a good looking car. With pricing starting under $50k for the 330S and $60K for the GT, I’d say Stinger’s the best value large performance sedan available in Australia. For anything comparable with a European badge, you’d be lucky to get any change from $100k, if not having to spend even more. 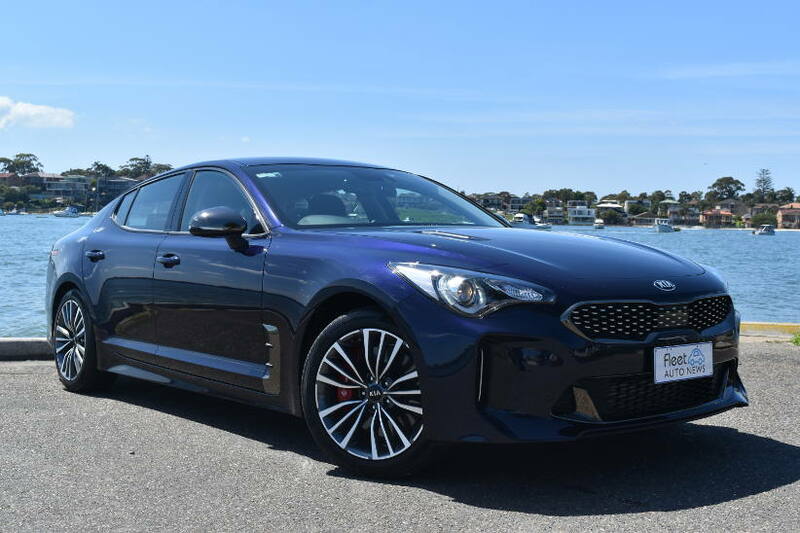 Stinger is backed by KIA’s industry leading seven year unlimited km warranty, as well as its seven year capped price serving program and complimentary roadside assistance. All Stinger models enjoy a five star ANCAP rating after specification upgrades were completed on models built from February 2018 onwards. The song from the TV ad, “Tornado”, captures the essence of Stinger, its fun, and reminds me of how much fun Stinger is. If I were in the market for a new car right now, I’d shell out for my hard earnt for a GT, probably in blue. 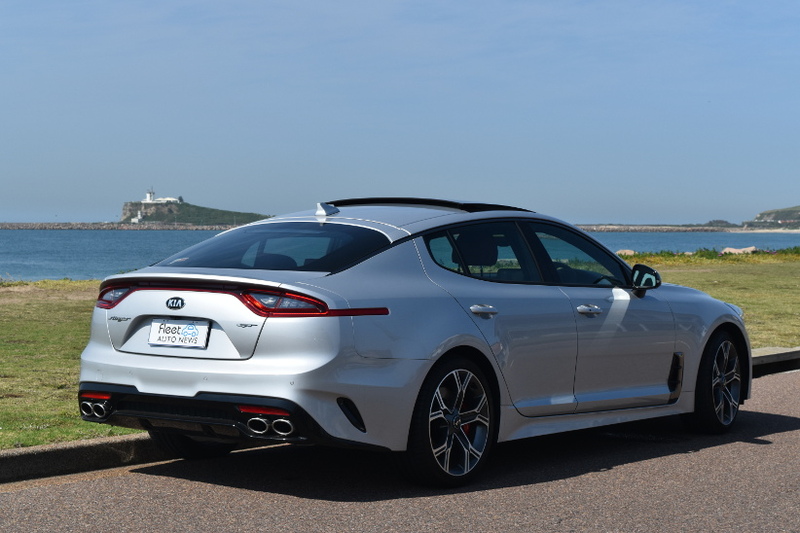 Stinger is a game changer for KIA, turning heads and changing minds. This data is from the 2019 Novated Leasing Guide produced by Fleet Auto News.